This 3-week tour will leave you wondering why you waited to explore Europe's Eastern rails less travelled in the first place. 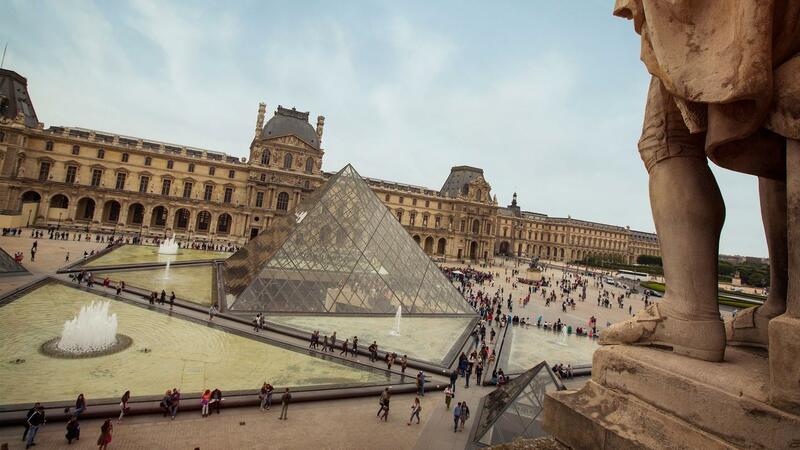 Begin in Paris before setting off throughout the charming countryside. Stop by Swiss Alps villages, stroll through Munich and Sofia, and hike in the hills of Veliko Tarnovo. Extensive enough to see plenty, but not so long that your plants are doomed, these often-skipped villages and cities you’ll miss too, as soon as you leave. 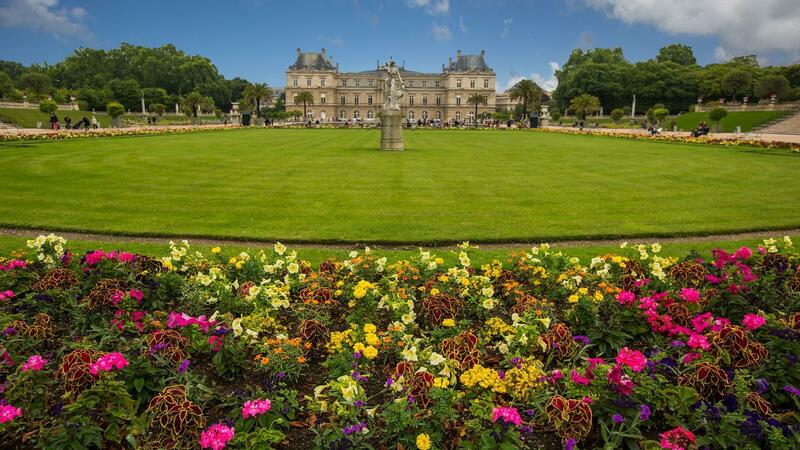 Stroll through the Luxembourg Garden, or Jardin du Luxembourg, built in the early 1600s outside the Luxembourg Palace. The garden is known for expansive lawns, flowers and tree-lined promenade, topped off with a Medici Fountain. 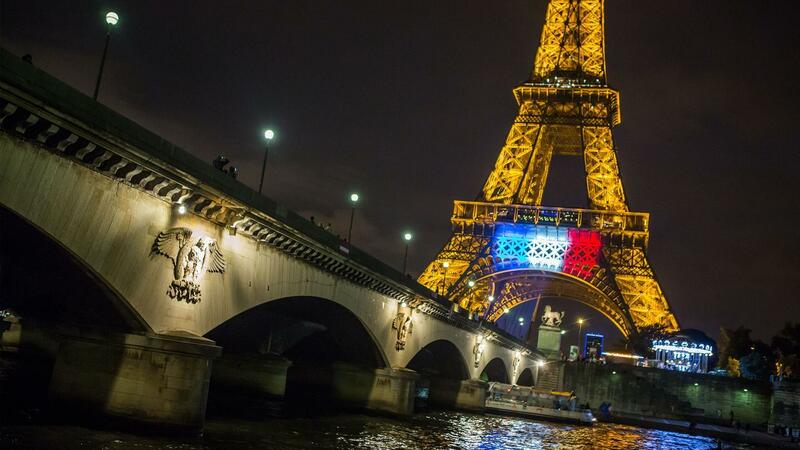 Stroll like a Parisian along the Seine. There are almost 40 bridges that cross over the river within Paris alone, if something on the right bank catches your eye, just cross over to explore. Stop to relax on the banks or bring a picnic. Check out this sleepy but picturesque town. Stop at the Cathedral of Notre Dame of Lausanne to marvel at the impressive architecture and the detailed rose window dating back to the 13th century. Construction on the church started in the late 1100s, finally consecrated in 1275. The medieval architecture is stunning and stands out from the charming setting of Lausanne. Established in 1824, these gardens house over 6000 plants from around the world. Get out and explore on foot by meandering through the town or setting out on an exhilarating hike. If you'd prefer to travel a little more leisurely, seek out of the local horse-drawn carriages used as cabs. Hit some mountain trails to stretch your legs and soak in the incredible Alpine views. Take some time to wander this scenic village. Stop for a delicious meal at a local restaurant or find a great spot for taking photos of the towering mountains. Grab a stein and some local Bavarian food at the Hofbräuhaus, where local beer was brewed for the Duke of Bavaria in 1589. While the building has changed over the years it's still a favourite in Munich, for a good reason. With a capacity for 1300 guests, the space isn't exactly intimate, but with its rich history and local Bavarian-style music, there's no shortage of good fun. Time's a wastin'. Get out and explore the city or use Munich as a hub to branch out and see nearby landmarks or villages. Take a stroll through the small village of Füssen. Pop into the ubiquitous pastry shops for unrivalled Bavarian baked goods and watch as old men in lederhosen and feathered caps walk through town. Visit the famous Neuschwanstein Castle. The castle is one of the many built by the eccentric King Ludwig of Bavaria, whose love of building extravagant homes for himself bankrupted Bavaria. This castle is the most well-known of the group, the beautiful colours and fairy-tale towers inspired the castle in Disney’s Cinderella. Walk up the hill or take a bus to reach the castle, or feel like royalty yourself by taking a horse drawn carriage. Take a sad but significant tour through this historical site that was used as a model for the other concentration camps of Germany and Poland. At the end of the subway line, located in a residential area, Dachau is a testament both to the evil of mankind and the overwhelming will to survive. Learn of the atrocities of war and come away with a great understanding of the not so distant past. Explore the Old Town of Salzburg, a UNESCO World Heritage Site and one of the most charming areas in Europe. Set on a river with picturesque bridges and diverse architecture, the pedestrian-only area is perfect for wandering and window shopping. Opt to walk the mountain paths to a fortress for panoramic views of the region. Join the Sound of Music tour to visit venues from the movie as well as an opportunity to see the landscapes of the surrounding areas. Listen to the soundtrack as you visit historical and architectural landmarks of the city and Lake District. The route of the tour includes stops at Morabell Gardens, Leopoldskron Palace, Hellbrunn Palace (the gazebo), Nonnberg Abbey, Salzburg Lake District Area (from the picnic scene with wonderful views of St Gilgen and Lake Wolfgang), and Mondsee (the wedding chapel). Visit the mines that give Salzburg its name. Suit up in overalls and learn more about the salt production of the area. Take the big slide and journey on Mirror Lake. Vienna's a great city to take a tour of famous landmarks or try some local specialities and enjoy a piece of strudel in a café. The global refugee and migrant crisis has displaced more than 60 million people around the world, and it's estimated that well over 100,000 refugees have settled in Austria alone. Magdas Hotel is changing the lives of these newcomers and their families by employing a staff consisting almost entirely of refugees. Not only that, but the social enterprise was also decorated by renowned local architects and volunteer artists, who found ways to upcycle materials creatively while making a beautiful hotel. Learn some of the history of this beautiful palace and grounds and explore the impressive art collection. Of particular note, the museum's collection of 24 pieces by Gustav Kilmt, including his famous 'Kiss'. Visit the famous Vienna Opera House and soak in its exceptional architecture. Opt for a guided tour to see the opera house's main features and learn about the history of the building. Enjoy a guided tour of the stunning summer palace designed by Empress Maria Theresa herself. The palace gardens are free to all visitors. Pay a visit to the gorgeous grey Lipizzaner horses of the renowned Spanish Riding School of Vienna. Witness the birthplace of "airs above the ground," or classical dressage, known for its highly controlled movements and jumps. St. Stephen’s Cathedral is one of Vienna’s main landmarks complete with a 343-step climb up a spiral staircase to look out over the city. Sit back and be transported by the sweet voices of the one of world's best known choirs. Founded in 1498, the Vienna Boys’ Choir is made up of boys aged 10-14 from Austria and around the world. Attend a live concert and learn what it means to be moved by music. There is so much to see and do in this incredible city - start exploring. 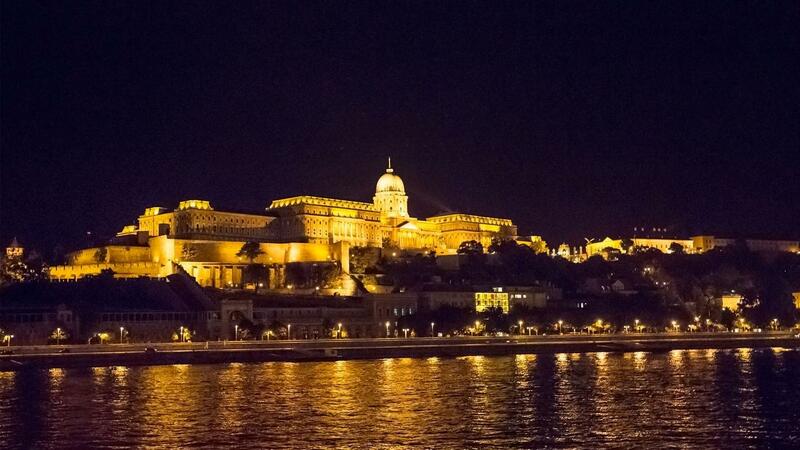 Set on Castle Hill overlooking the Danube River and Pest, Buda Castle was once home to the Hungarian kings of Budapest. Admire the gorgeous architecture and visit its two museums; the National Gallery and the Budapest History Museum. Permanent collections depict the past 500 yrs of Hungary's art history, including Medieval and Renaissance stonework, Gothic wood sculptures, and Gothic altars. Bring two towels, your bathing suit and an aching body and prepare to be healed in the largest medicinal bath in Europe. Built in 1913, you can test the waters of 18 different pools (15 of which are spring fed) amidst stunning neo-Baroque architecture. Play chess on floating chessboards, relax in the whirlpools and explore the wonderful mosaic domes of these historic thermal steam rooms. Join a group for a guided city tour by bike. Buzz around the city on two wheels to cover more ground and get your blood pumping. Take a guided tour of one of Hungary's crown jewels - the Hungarian Parliament building. Existing as the third largest Parliament building in the world, its Neo Gothic architecture also makes it a contender for one of the most beautiful. Tour the Hungarian Coronation Jewels in the Dome Hall, the Old Upper House Hall of the bicameral Hungarian Parliament, as well as the Lounge. Guided tours are mandatory for entrance and we recommend booking your tour in advance. Take a stroll though the oldest indoor market in Hungary. Straddeling the river Danube, the Chain Bridge suspension bridge is the first built to connect Buda and Pest, and is now one of Budapest's most iconic landmarks. Constructed in 1873, the Opera House is one of Budapest's most stunning examples of Neo-Renaissance architecture. Take a tour around this stunning building to get a closer look at the ornate marble statues, frescos, and ornate tin work - to name a few highlights. Float down the Danube for a better look at the picturesque sites along the river bend. There's plenty to see and do in Budapest, and we wanted to make sure that you had some time to take it all in. Feel free to relax or try optional activities like a visit to the Parliament, a walk around the Fisherman's Bastion, and marvel St. Stephen's Basilica. Your CEO has more ideas if you need them. Just ask! So much to do in this city - get out and explore! Take a morning train from Sibiu to the enchanting town of Sighișoara. Use your free time here to explore the cobblestone streets and medieval architecture. Take some time to explore medieval Sighișoara. Enjoy a visit to the Clock Tower, also known as the Council Tower -- it's Sighisoara's main point of attraction. It was built in the second half of the 14th century and expanded in the 16th century. After a fire in 1676 when the town's gunpowder deposits located in the Tailors' Tower exploded, Austrian artists rebuilt the roof of the tower in its present baroque style and, in 1894, colourful tiles were added. Enjoy a visit to the Church of the Dominican Monastery. Built in the late Gothic style, it was last repaired in 1929, quite some time after it was first attested in a document back in 1298. Explore the Renaissance furniture, medical instruments, fine arts, and more in this museum located inside the Clock Tower -- it's been around since 1899! You will not be digging your canine teeth into any humans at the Casa Dracula. Once the original home for Vlad the Impaler, who was the model for Count Dracula, it is now a restaurant specialising in the hearty meat and game dishes of the region. With a local guide, venture into the Romanian countryside to visit traditional villages. Get a true sense of life in this less-visited region. Take a train into charming Brasov. Enjoy a half-day guided tour of Sighisoara's countryside. Take in the beautiful rolling scenery and visit medieval villages and fortified churches. In the early evening, ride the rails to the city of Brasov, the best preserved medieval city in Romania. Visit some of the city before heading further afield. Coast over rolling hills and into rural villages, learning about the life and folklore of olden times from our expert local guide. 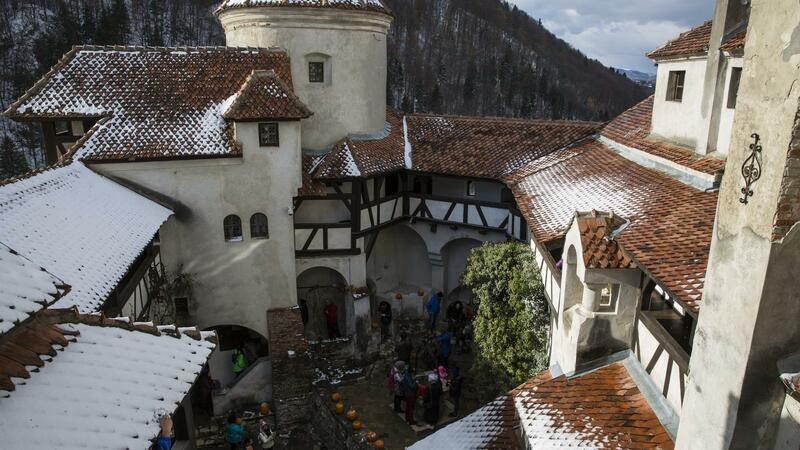 Visit the picturesque Bran Castle, impressively situated on a rock outcrop and dominating the valley. This 14th century castle is steeped in history and folklore and is an unmissable highlight. 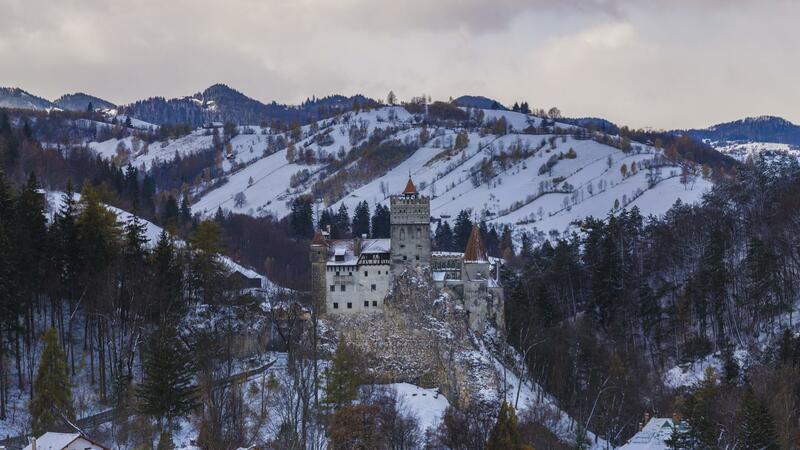 Sometimes called "Dracula's Castle", it served as a defense point to protect the border between Transylvania and Wallachia. Rumours abound regarding Dracula's interaction with the castle. You'll have to visit to find out the truth. 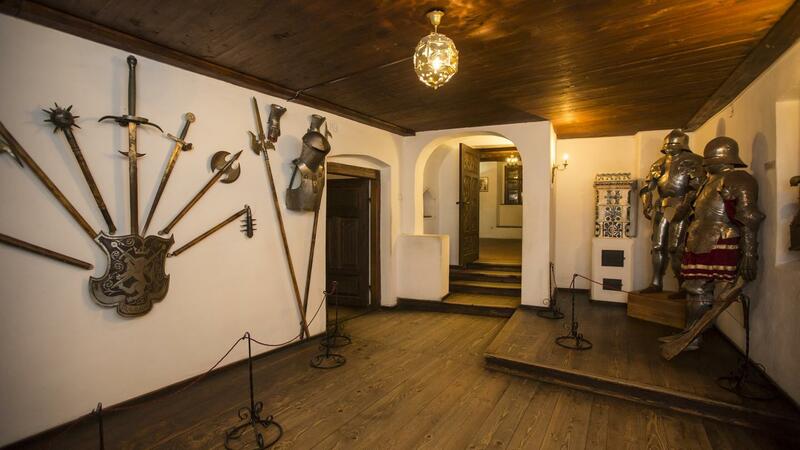 Explore the rare exhibits that showcase Brasov's history, including stone tools from the Paleolithic age and painted ceramics from the Neolithic age, at this impressive museum. Tampa Mountain towers over the city of Brasov at 914.4m (3,000ft). Choose to hike to the top of the mountain, or take a cable car if you prefer, but the views from the top of the old town are not to be missed. Get ready to go back in history with a visit to Catherine's Gate, built in 1559 and the only original gate to have survived from medieval times. During the Saxon rule of Brasov, from the 13th to the 17th century, Romanians were forbidden from owning property inside the citadel walls and so they settled in the southwestern Schei district. Take in the impressive and varied art at this museum, including anonymous 18th century painters from Transylvania to the most famous Romanian artists of the 20th century. It also boasts beautiful European crystal and porcelain and a significant collection of Oriental vases and statuettes. The Black Church is the biggest church between Vienna and Istanbul. It's a famous landmark of the town of Brasov, is Romania's leading Gothic church, and has the largest church bell in the country, weighing a hefty 7 tons (6,350 kg)! Explore its beautiful interior, including stained glass windows and its collection of 119 Turkish carpets, the largest in Europe. Check out examples of Romanian rural architecture at this outdoor museum that's literally a park 10 hectares large. It boasts rural homes built in the styles throughout Romania as well as churches, outhouses, and mills -- you'll really feel like you're walking through a Romanian village. To give an even more authentic feel to things, many structures are filled with furniture and pieces from the eras they replicate. Boasting more than 650,000 items, the is museum, inaugurated in 1972, gives visitors a true understanding of Romanian culture. Housed in the former historic monument once known as the Palace of the Post, it is situated in the old historical centre of Bucharest. 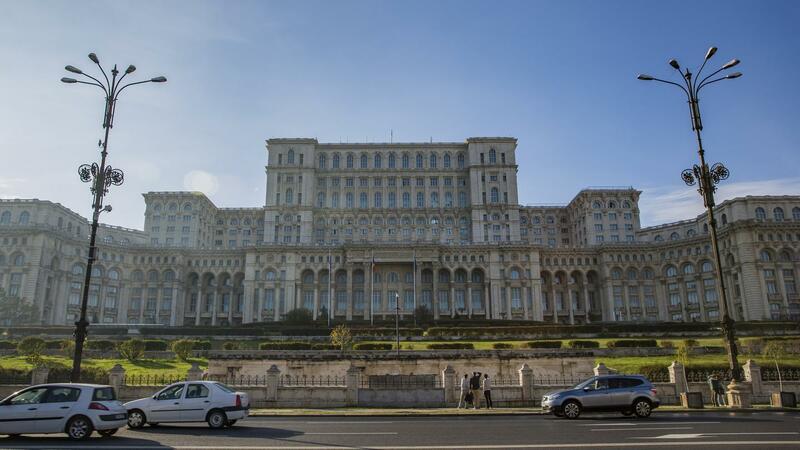 Enjoy a visit to the Palace of the Parliament, which contains both chambers of the Romanian parliament as well as the National Museum of Contemporary ARt (MNAC). It's the world's largest civilian building with an administrative function, according to the World Records Academy; it's also the most expensive administrative building. You can always cover more land on a bike! Get out an explore on two wheels. 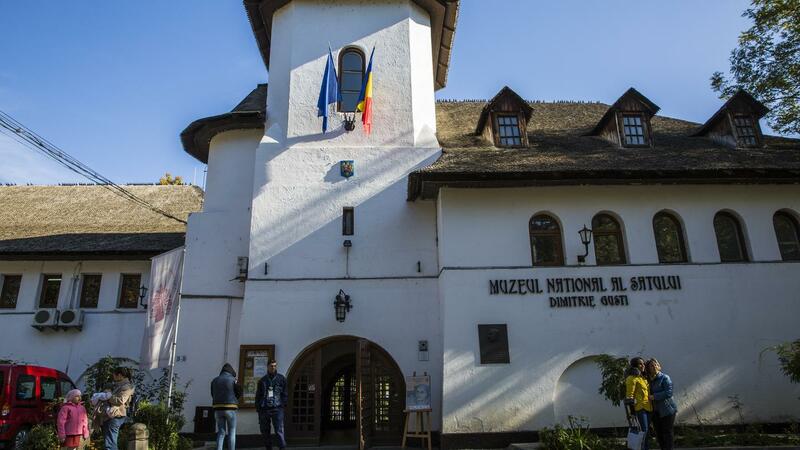 Visit the Museum of the Romanian Peasant for a interesting look inside the rural culture of Romania. The museum displays a collection of costumes, artifacts of Romanian peasant life, and religious icons. The Tsarevets fortress, just 1km (.62 mi) outside central Veliko Tarnovo, is a must-see. This huge complex has been an important stronghold for thousands of years, and you can wander at will around the remains of homes, churches, and watch towers dating from the 5th to the 12th century. Enjoy a hike uphill to Arbanasi. This hilltop village was the residence of choice for the wealthy Roman elite and is still a country haven for the high-flyers of modern Bulgaria. The views all around and down to Veliko Tarnovo are amazing. Visit the 16th-century Church of the Nativity to see the amazing murals. Hit the trails and enjoy the scenic countryside of Bulgaria on two wheels. Enjoy a visit to the eclectic Ladies' Market - Sofia’s biggest market for fresh produce, meats, fish, cheeses and spices. Enjoy a stroll down Sofia's chic pedestrian area, Vitosha Boulevard. Don't miss the stunning gold-domed Alexander Nevsky church, honouring the Russian liberators whose contribution saw the end of Ottoman rule in Bulgaria. Allow USD 705-920 for meals not included. Get spooked at "Dracula's Castle"
G Adventures for Good: Magdas Hotel, Vienna. Paris orientation walk. TGV train. Lausanne orientation walk. Zermatt stay. The Glacier Express train. Salzburg orientation walk. Vienna orientation walk. Budapest orientation walk. Romanian villages and countryside tour (half-day, from Sighisoara). 'Dracula's Castle' (Bran). 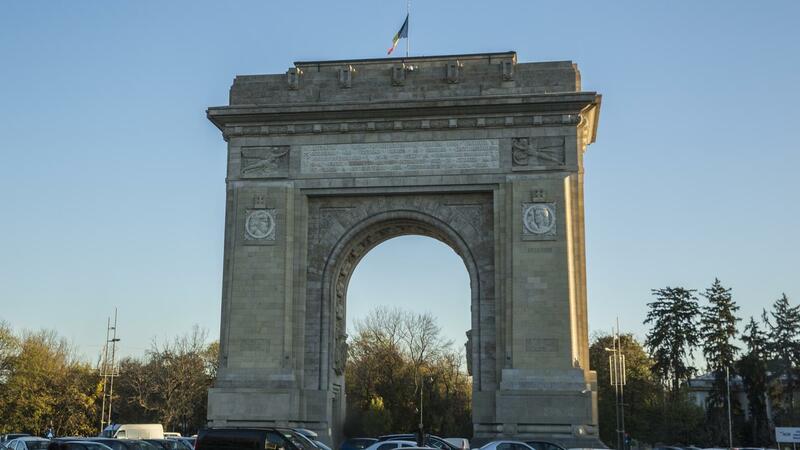 Bucharest orientation tour. Hike to Arbanasi village. Sofia orientation walk. All transport between destinations and to/from included activities. Travel across Europe by train, explore tiny villages and big capital cities, soak in gorgeous Alpine scenery from the window of the Glacier Express, sample cuisine across different countries, get spooked at "Dracula's Castle"
Please note that if you have booked the "My Own Room" option for this tour, you will receive your own single accommodation for all night stops, with the following exceptions: Day 13 (overnight train).